Interesting initiative taking place in India, and one that is interesting to support as an advisor on and see how it turns out. BitIndia is a decentralized cryptocurrency platform and enables the investor, trader, merchant or any user to buy, sell and trade in cryptocurrencies. BitIndia Wallet will let the users to purchase and sell Bitcoins, Ethereum, Ripple and litecoin and use these cryptocurrencies as a mainstream in India. BitIndia Wallet will let people use cryptocurrencies as a medium of exchange in daily life activities such as buying groceries, paying bills etc. Also theBitIndia Exchange will the people of India trade various cryptocurrencies with the local indian currency INR (Indian Rupee). It is a global platform which ensures to provide security with a convenient method of payment over the Internet. Bitindia aims to become largest platform for world’s biggest democracy India, in upcoming days. He is the Founder & CEO of BitIndia platform. Being a PEC graduate, entrepreneurial skills he has worked on projects like Fingerfry, thin tea, etc. He has experience in Day Trading for Brazilian and UK markets. Later on he launched Exousia, an app development firm which he headed for 2 years. Then, he also became the CEO for Applancer, which is a platform which is solely made for app developers and project clients on board under one roof. He envisions Bitindia to become the biggest platform in India, for dealing in cryptocurrencies and the investments related to it. He aims to fulfill the hopes and commitment towards the platform and millions of people by delivering good services and giving experiences to all the subscribers. He is the Co-Founder of the BitIndia platform. An Experienced Co-Founder with a demonstrated history of working in the Information Technology & Services industry. Skilled in Capital funds, Venture Capital, Business Development, Cryptocurrency, , Business Strategy, and Leadership. Strong entrepreneurship professional with good schooling, a Commerce Bachelors Degree and a Master of Business Administration – MBA focused in Managing and Leading in a Global Environment. He is the technological expert and partner with BitIndia. He is expert in the blockchain technology and bitcoins. He is also the founder of Cove identity. He has knowledge and great experience in algo trading from global investment banks in London. He is a specialist in start-up investing, blockchain solutions, Business development, Electronic and algo trading and mentoring. John McAfee is the Pioneer of McAfee Anti-virus software. He is a renowned computer programmer and businessman, who founded the software company McAfee Associates in 1987. McAfee also has interests in cryptocurrencies, and has collaborated for partnership and as an advisor to BitIndia. The Indian total population is over 1.2 Billion, but only 0.5% are aware about and into Bitcoins, which is a very scarce percentage of the total population. 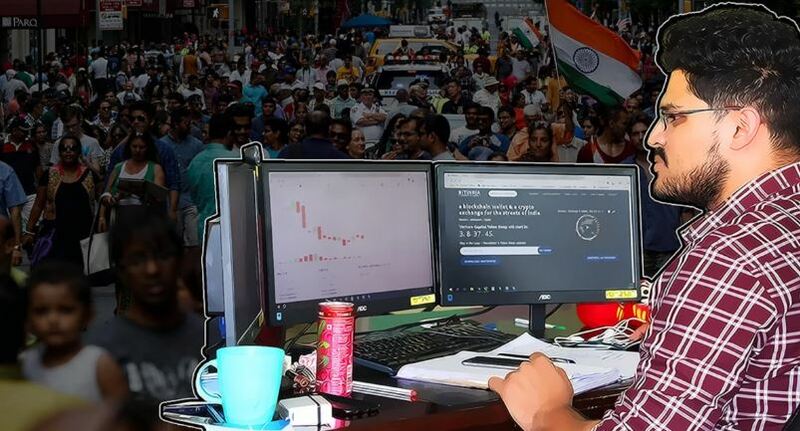 The mission of Bitindia is to increase this percentage and bring more than 20% of the population into Blockchain by making them aware about the digital currencies, and thus providing an assured, reliable platform for Bitcoins and other cryptocurrency related trade in India. Bitindia wants to create a user friendly, secure, decentralized atmosphere for India, so that people can carry everyday transections through Bitindia wallet. Bitindia envisions to reach out to every person in India, starting from urban areas to make them aware about blockchain and cryptocurrencies. Bitindia’s objective is to launch the largest, easiest, and the fastest blockchain platfom ever designed.